2016 Summer Paralympics — Brazilian Portuguese: Jogos Paralimpicos de Verao de 2016 is the 15th summer Paralympic Games. These games are held every 4 years for athletes who suffer from various disabilities. The Summer Paralympics Games are the major international attraction for multi-sport events for these athletes. These games are governed by the International Paralympics Committee, and will be held in Rio de Janeiro, Brazil, from September 7 -18 2016. While these games mark a Latin American and South American city hosts events, the second Southern Hemisphere city and nation, being the first 2000 Summer Paralympics in Sydney, and hosting events for the first time in a Lusophone – Portuguese speaking country. These games will also see the introduction of two new sports to the Paralympic program – canoeing and the Paratriathlon. Just as India sent its leading delegation to the 2016 Rio Olympics, the Paralympics will also represent 19 athletes from the nation, this being the highest sent number for the event till date. The main aim to start these games is to provide an equal platform for athletes with disabilities and to showcase their skills at a stage that helps them to represent their own country. In order to differentiate the difference between various categories of legitimate disabilities, the committee has come up with 10 categories, as such as impaired muscle power, impaired passive range of movement, limb deficiency, leg length difference, short stature, hypertonia, ataxia, athetosis, vision impairment and intellectual impairment. Other than Indian athletes, the most favorite athletes overall are two visually impaired athletes Omara Durand of Cuba and Jason Smyth of Ireland. Both of the athletes are likely to be the fastest woman and man over 100 meters. 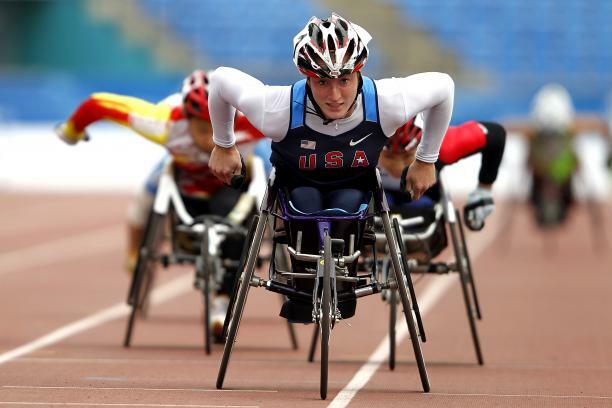 Tatyana McFadden from America is hoping to become the first track and field athlete to win gold medals at one of the Paralympic Games. A 74-year-old Libby Kosmala of Australia is contending her 12th Paralympics; Jonas Jacobsson 51, of Sweden in his 10th. Both of them are in shooting. Siamand Rahman of Iran will try to become the first Paralympian to lift 300 kilos in powerlifting and Zahra Nemati who was the flag bearer for Iran in the Rio Olympics will be the first Iranian woman to win gold in either the Olympics or Paralympics. This athlete has won gold in archery in Paralympics London. 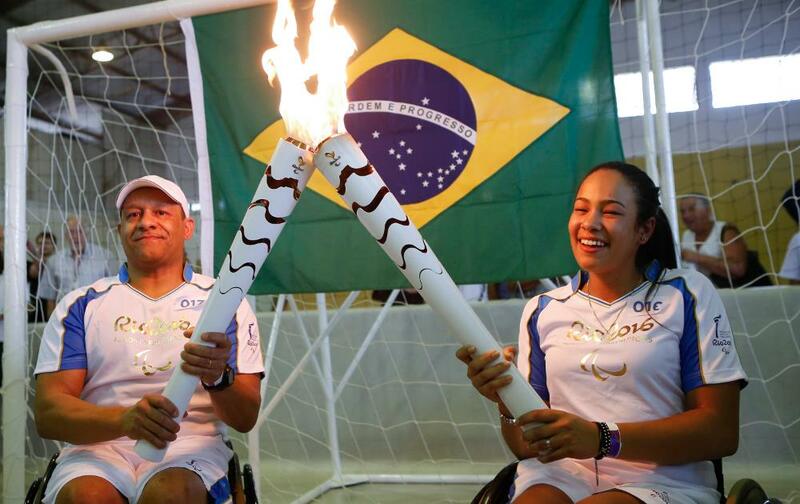 The Paralympic torch relay will begin with five individual flames, which represent to five regions of Brazil. Along with the five flames, the sixth flame will also lit in Stoke Mandeville, Great Britain, which will be united to form a single Paralympic flame. These flames will be relayed through Rio on September 6 and 7, en route to its lighting at the Maracanã during the opening ceremony. The 159 National Paralympic Committees are participating at the Summer Paralympic Games 2016, and a total of 4,342 athletes are taking part this year. The number of athletes being sent for each nation is shown beside each nation. 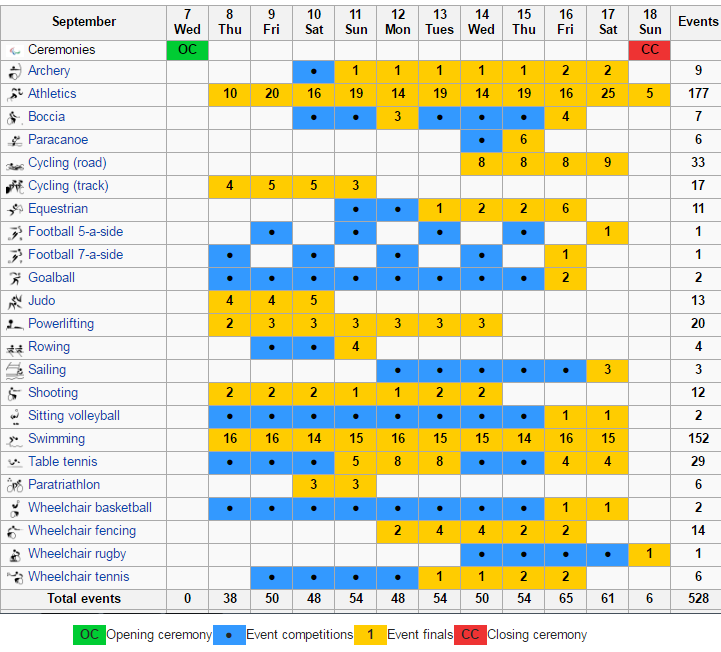 Around 22 sports events are scheduled to be contested at the 2016 Summer Paralympics. 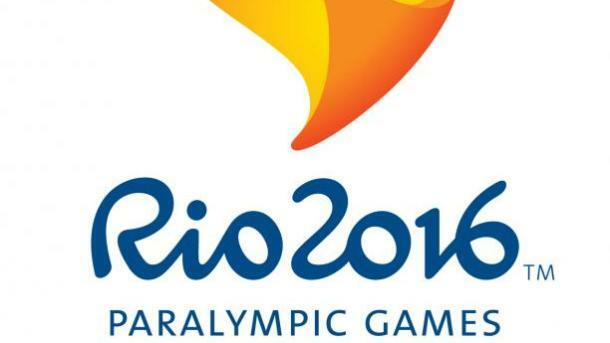 The committee has added two new sports to the Paralympics in Rio; canoeing and the triathlon.